I hadn’t really ridden since attaining my Learner’s Permit in September 2006. All I had done was a practice session a month previously at HART in Kilsyth, so when my husband suggested I go for a test ride on said scooter I was quietly freaking out, having pretty much forgotten everything I had learned. 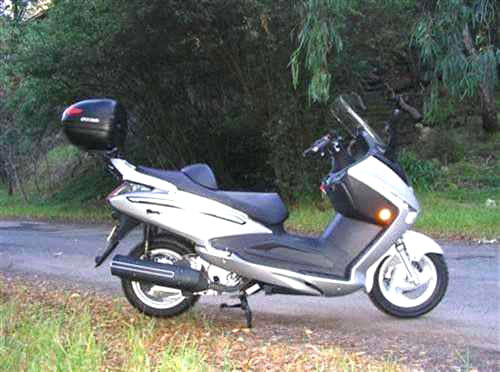 I realised I should have had more of a refresher course to actually go out on the road, but suddenly I was in the situation where it was decided that I should take the scooter for a spin to make sure it was suitable. Not wanting to go across onto the main highway, I elected to attempt a little trip around the block. Bear in mind that my limited riding was not imbuing me with great confidence. With my level of skill you could be forgiven for wondering how this would all end. I had managed to take off, having serious doubts about whether I would ever be seen again. I rode into a carpark not realising that would necessitate actually turning around, as there was no other exit. I had forgotten to “look where you want to go” so instead I looked at the wheelie bin and that’s where I went! Fortunately I was going so slowly that I just bumped it, but of course I came to a complete stop. I managed to pick the scooter up, relieved it wasn’t a super-heavy one. Somehow I managed to re-start it, going the wrong direction in a one-way lane, where luckily no-one collided with me. When I got back to the driveway my husband looked a bit puzzled, thinking I had been gone quite a while. It was a fairly good deal anyway so the purchase was duly made. My husband, being rather more experienced, and as there was no way I was going to attempt it, rode home while I took the car and drove safely behind him. Preplanned, all his riding gear had been in the car ready to go. Fortunately I had survived the ordeal, although having purchased the scooter at the beginning of May meant that winter and wet roads were coming. So it would be more than two months later before I attempted to ride again. Six years ago, in the interests of working on our marriage, my husband stepped out of his comfort zone to come with me to karaoke and sing on stage, something he was unnecessarily apprehensive about. He feared he might “die” on stage. 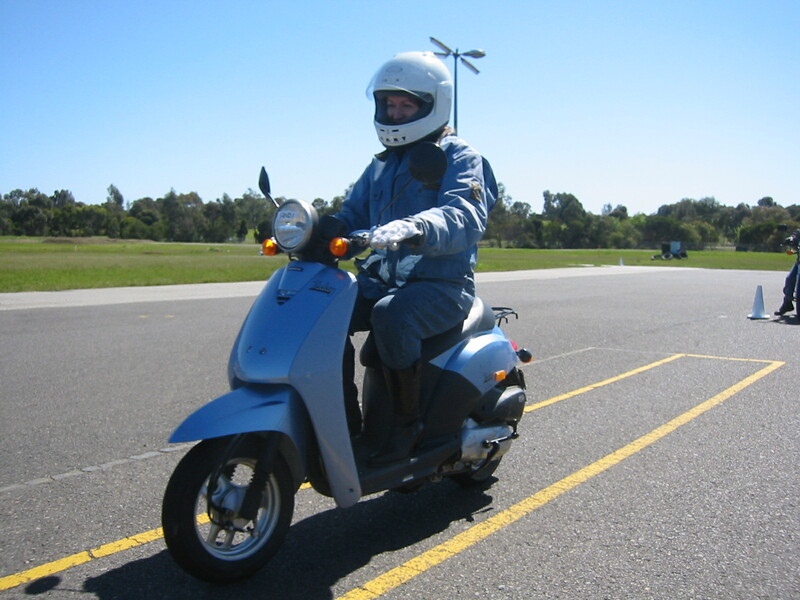 I returned the favour by stepping out of my comfort zone to join him and two of our friends on the two-day Honda Australia Rider Training motorcycle learner’s course. My fear of death was much more realistic I thought. 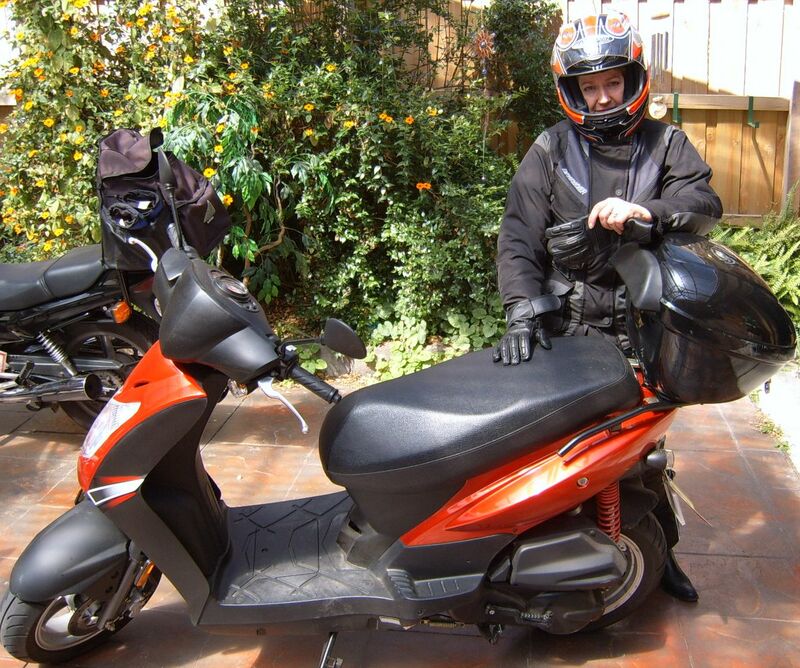 Firstly I was given a 250cc motorcycle, which was huge, cumbersome, and then I had to contend with gears as well. It was all toooooo much for me, so I settled for the baby scooter, which was still frightening, but a lot more manageable. I figured if I were going to be a rider, there would be enough to concentrate on without having the added anxiety of accurate gear selection. I was best at the slow ride, and somehow despite my concerns, I passed the test at the end of the second day and officially became a learner who could ride by herself on the actual road. What a scary notion! Coming over the Reefton Spur, there used to be a picturesque view from the road of the township of Marysville, nestled in amongst the bush. Not so now, since the Black Saturday bushfires took their toll. Months later, the devastation is still acute, but the marvel of nature is evident as you see the fresh fronds atop the tree ferns, and little clusters of leaves forming up the trunks of the eucalypts. 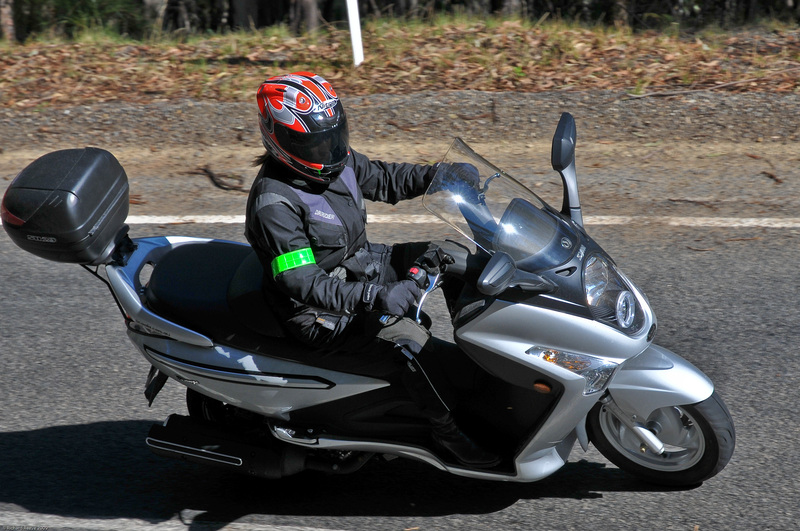 This was one of the most memorable sights on the Reefton Ride, one of the instructed rides available for motorcyclists and scooter riders, run by the Shire of Yarra Ranges in conjunction with HART (Honda Australia Rider Training). This ride is only available for licensed riders, as it involves riding over both the Reefton Spur and the Black Spur. 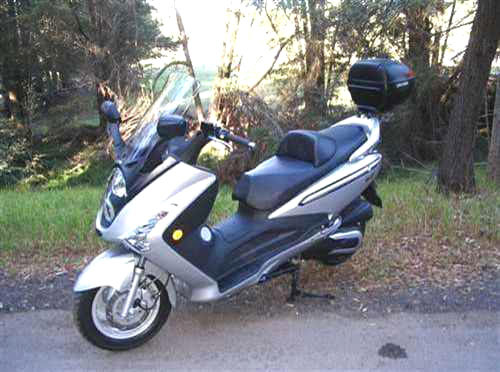 It gave me more skills and confidence in approaching country riding. 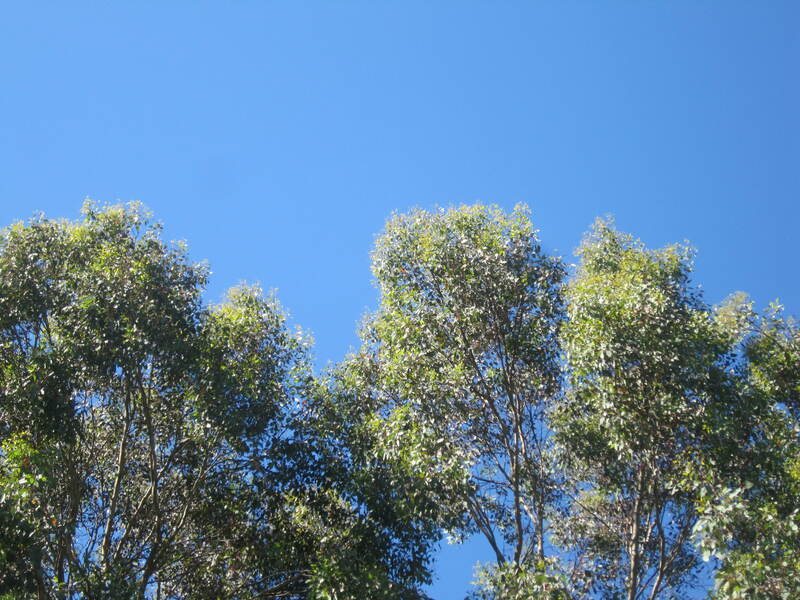 The skies are blue; no rain in sight. What a great day for a ride. 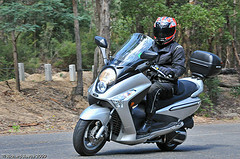 With me on my Bolwell Firenze scooter, and my husband on his Suzuki V-Strom, we set off from Croydon on a little jaunt to Healesville, in the Yarra Valley, east of Melbourne. I chose the right number of layers for the day, making it even more enjoyable. You always have to allow for the wind chill factor when riding. I donned my gear, choosing my denim Draggin Jeans, with their protective Kevlar lining, a t-shirt, hoodie, cardigan and red bike jacket. Boots, neck scarf, helmet and gloves completed the ensemble. Socks and underwear go without saying. We set off down Canterbury Road to take the back way to Lilydale to join the Maroondah Highway for the relatively easy ride up to Healesville. There are some lovely sweeping curves heading up to the Valley, which is scattered with local wineries and pleasant scenery of mountains in the distance. If you can manage mid-week as we did, traffic is not a problem. Our usual stop in Healesville is the Beechworth Bakery, one of a few so-named, the original of course being actually found in Beechworth. Healesville is a popular stop, and we enjoyed cappuccino and a foccacia for a reasonable price. You can also get a bottomless cup of filtered coffee for only $3.00 which is a good drawcard. On the return home my husband led the way, this time via Yarra Glen and the back roads through to Chirnside Park, staying off the beaten track, where you can imagine you are nowhere near the suburbs of Melbourne. Just over eighty kilometres for the whole ride, we returned home with a sense of satisfaction and a feeling of gratitude for such a nice interlude. After ten weeks overseas, one’s riding skills can become a little rusty. Much of this has to do with confidence, so it’s good to get back on and ride, ride, ride at any given opportunity. However, living in Melbourne with its legendary four seasons in one day, means that conditions are not always perfect, but it does give riders the chance to hone their skills in all sorts of weather. My worst developed skills involve U-turns and roundabouts. The whole point of these is to “look where you want to go” which is good in theory. Sometimes the actual practice is vastly different. Large roundabouts are much easier than the small variety. Because of the long break in riding, my level of confidence had deteriorated somewhat when I approached a rather tiny, unfamiliar roundabout. I was going a little too slowly, and then not looking in the proper direction, so much so that I had to stop right in the middle of the intersection and get my bearings. Slightly embarrassing to say the least, when I have been riding for four years. Suffice to say, I gave myself a good talking to about looking beyond your nose and looking ahead as one should do. It’s great to be back on the bike, well scooter actually. Stay tuned for my post after I don my gear and enjoy the weather while it’s still beautiful. I do live in Melbourne, after all, where the saying “make hay while the sun shines” is our mantra.